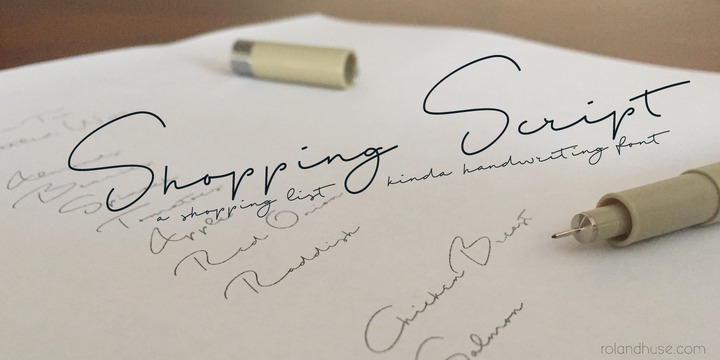 Shopping Script is a cursive handrwritting typeface created by Roland Hüse and published by Runes & Fonts which is available in a few ligatures and language support. It is ideal for signature. Have fun! A font description published on Thursday, December 15th, 2016 in Fonts, Roland Hüse, Runes & Fonts by Alexandra that has 2,828 views.